At Pinders we don't want to miss a thing. That's why we offer some of the latest technology to enable us to see deeper and wider into the back of your eyes than ever before. The retina is the delicate thin layer at the back of the eye which sends a picture to your brain enabling you to see. The retina is the only place in the whole human body where blood vessels can be seen directly. This means that in addition to eye conditions (e.g. glaucoma, retinal tears and retinal detachments) other diseases such as diabetes, hypertension and stroke can also be detected. Early detection allows successful treatments to be given to reduce the risk of your sight and health. This is why it's important for your optometrist to check your retina to make sure it is healthy even if you are experiencing no symptoms. Why is having an Optomap scan important? Optomap® is an advanced retinal imaging device that lets us see five times more of your retina than standard retinal imaging photography. 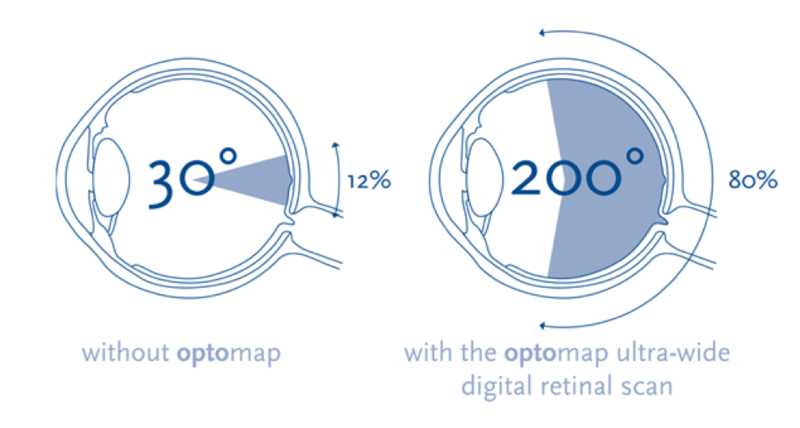 This high-resolution image allows us to examine more than 80% of your retina which is much more than just 12% without Optomap. This allows us to detect any potential signs of disease at the periphery, which may go undetected with traditional methods. 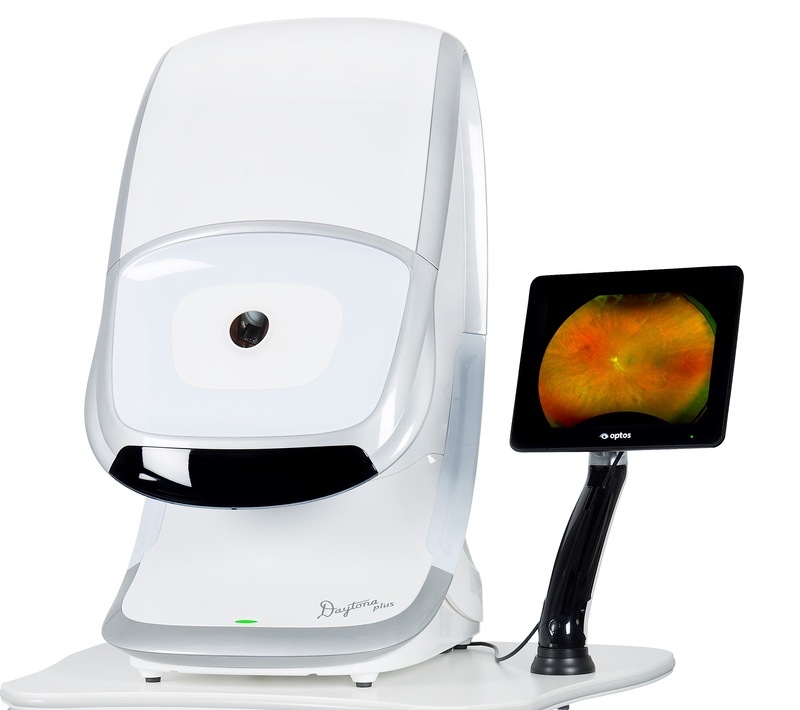 An Optomap® takes only seconds to perform and the eye is not touched. Why is having an OCT scan important? Optical Coherence Tomography allows us to scan the very depths of your eye. It works in a similar way to ultrasound but uses light rather than sound waves. It creates a highly detailed picture in two or three dimensions which gives us a view of your eyes on a microscopic level. A digital record of your eye is kept for comparison at every eye exam. OCT scanning can detect a number of eye conditions earlier than previously possible, such as glaucoma and age-related macular degeneration (AMD).